History shows that “things can change.” This doesn’t mean it will be easy, or perfect, but things can change. This held especially true when I was teaching in Pensacola, in Escambia County, which at the time was one on the very poorest counties in the state of Florida and may still be… I had two classes of “at risk” kids and my observation was basically that many of my students were “locked in the past” in their thought processes often quoting the Civil War and why things were as they were in their world. Approaching Martin Luther King Day, we would read aloud Dr King’s speech, and I would tell them that although things are bad, they must remember, that years ago, things were worse, and most of all with the power of collective thinking, THINGS COULD CHANGE. And for that to occur, they had to believe it, live it, and be part of that of change. 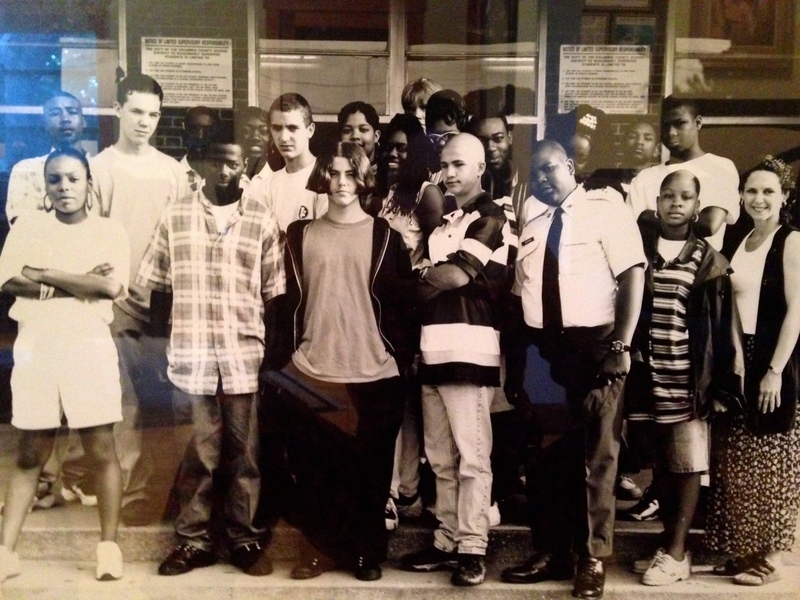 I also taught my students some hard facts, noting that if they didn’t know their history, they would not have the tools, fire, or respect to create change in their world. I believe that this lesson applies to river advocacy for the St Lucie/Indian River Lagoon as well. To make our advocacy work, we must know the history of Florida, the the Army Corp of Engineers, the South Florida Water Management District, agriculture, the EAA, development, and ourselves: then we must believe in change for the river, and we must be a part of that change. 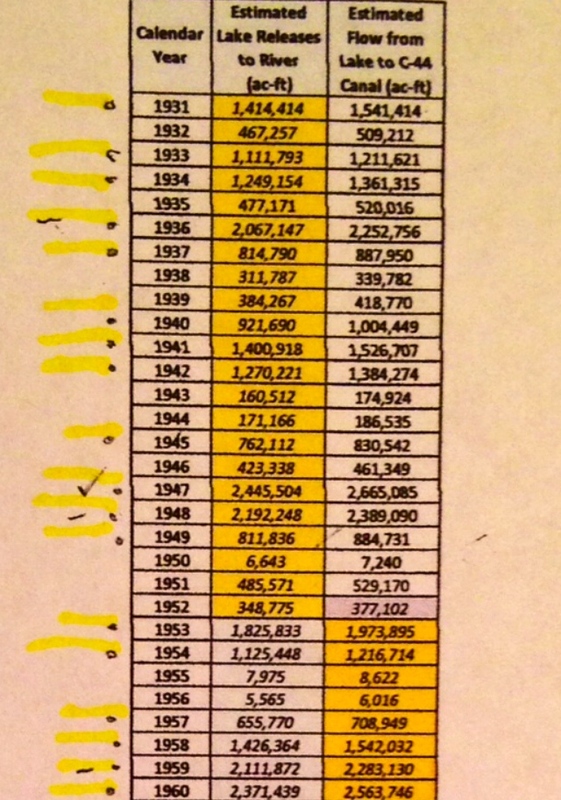 Below are statistics of the history of the St Lucie River and releases from Lake Okeechobee, from 1931 to 2013. In 2014 there were no releases. Right now, in 2015, the ACOE has started again. Thank you, to Dr Gary Goforth (http://garygoforth.net) for providing these numbers and an explanation of how he achieved them. The two columns are: “Estimated Releases to the River” (SLSR/IRL) and “Estimated Flow from Lake O to C-44 Canal.” Both are in acre feet. 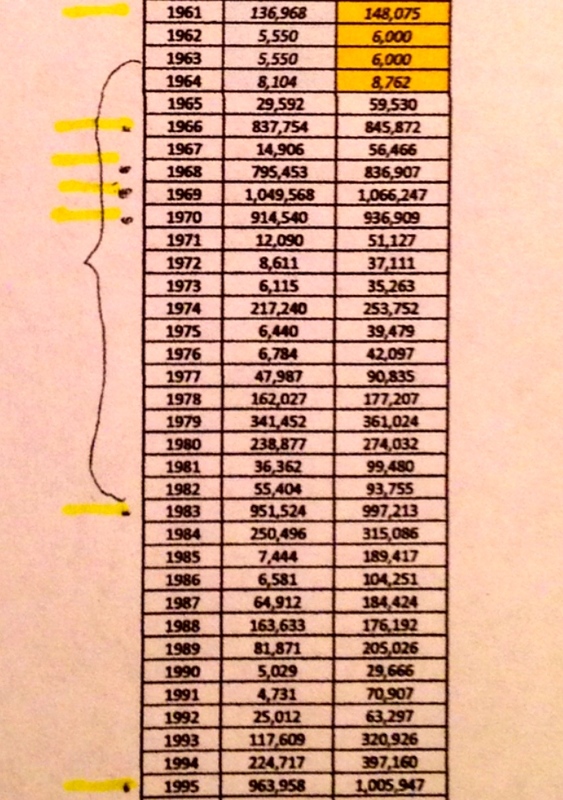 I use the first column often to compare and understand how much water has helped destroy our estuary over the years; ; I hope it becomes useful to you as well. And may we have a dream that things will get even better. A state-authority – the Everglades Drainage District – constructed the St. Lucie Canal (later known as C-44) between May 28, 1915 and 1928. During this time they also built a lock and spillway at the Lake end of the canal and a lock and spillway at the present location of S-80. 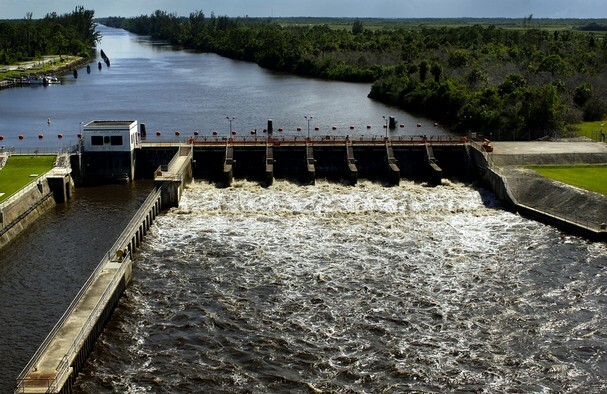 On June 13, 1923, water from Lake Okeechobee began flowing through the canal into the St. Lucie River. 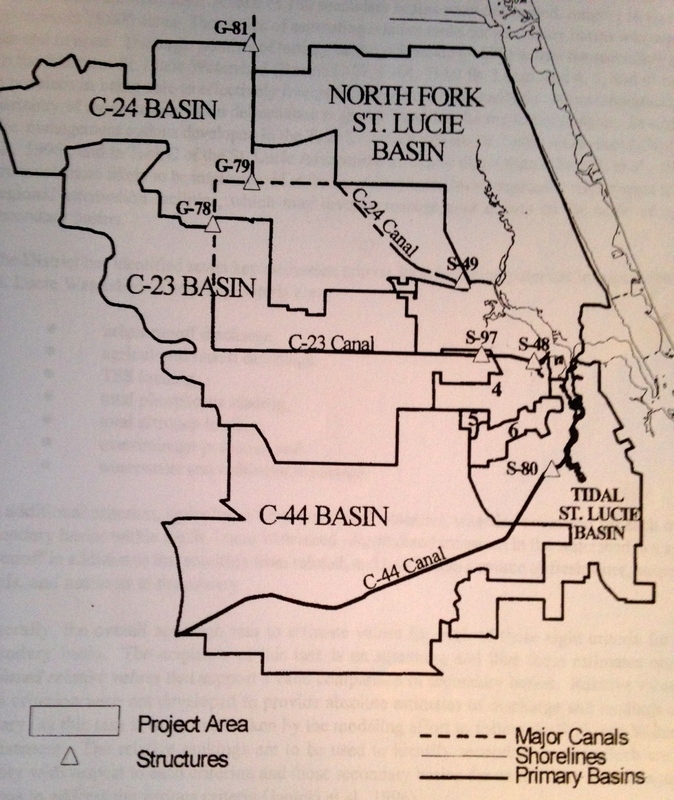 In the 1930s and in the late 1940s the Corps enlarged the St. Lucie Canal, and it was then known as C-44. In the 1940s the Corps completed S-80 – the St. Lucie Lock and Spillway – at the site of the original lock on the east end of the Canal. Flow data beginning 10/1/1952 for S-80 are reported by SFWMD. In the 1970s the Corps constructed S-308 – Port Mayaca Lock and Spillway – west of the site of the original lock on the west end of the Canal. I cannot find flow data for Lake releases to the Canal prior to April 1, 1931. Between April 1, 1931 and September 30, 1952, Lake releases to the C-44 are reported by U.S. Geological Service. 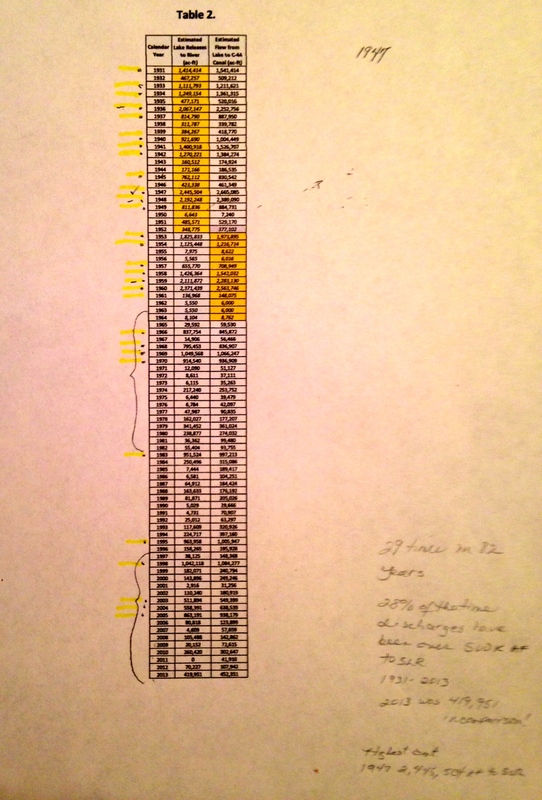 I cannot find flow data for Lake releases to the C-44 between October 1, 1952 and December 31, 1964. However, flow data is available for S-80 beginning 10/1/1952, so I estimated Lake flows to the Canal for this period based on the S-80 flows and the correlation between concurrent observed flows at S-80 and S-308 (1965-2013). Beginning January 1, 1965, Lake releases to the C-44 are reported by SFWMD. 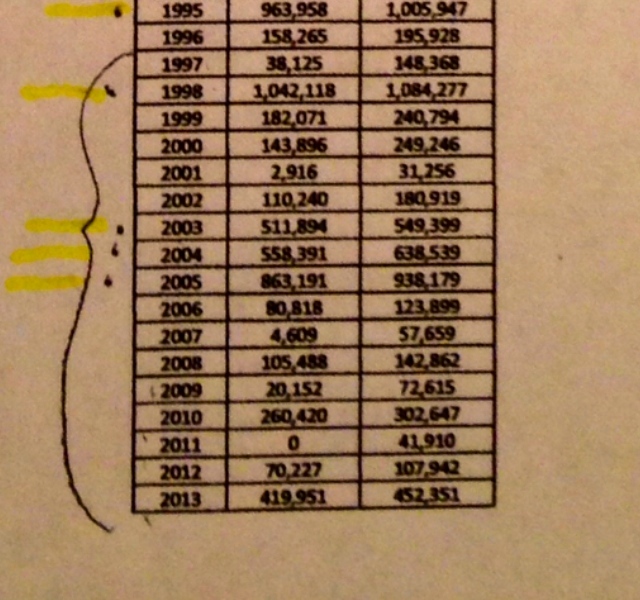 I’ve also provided estimates of Lake releases to the St. Lucie River. 1. Irrigation demand for agriculture in the C-44 Basin. This Lake water enters the Canal at S-308 but does not leave the Canal at S-80. 2. Regulatory releases from the Lake to the St. Lucie River. Historically, some Lake water was sent to the St. Lucie River for perceived beneficial purposes – however today both Mark Perry and Deb Drum insist that Lake releases provide NO beneficial purpose to the River. To calculate the Lake releases to the St. Lucie River, you need to compare the flow that enters the Canal at S-308 with the flow that passes through S-80. The minimum of the two flows is estimated to be the Lake flow to the River. As an example, say 1000 gallons entered the Canal from the Lake on Day 1. The same day, no water passed through S-80. So for Day 1, the estimated Lake flow to the River is the minimum of (1000, 0) or 0 gallons. As another example, say 1000 gallons entered the Canal from the Lake on Day 2. The same day, 500 gallons passed through S-80. So for Day 2, the estimated Lake flow to the River is the minimum of (1000, 500) or 500 gallons. Prior to the 1970s, the passage of the Clean Water Act, and the national environmental movement, “dredge and fill”was commonplace. Dredge and fill includes the dredging of canals that have created our Atlantic Inter-coastal Waterway; the dreaded Okeechobee Waterway; canals draining South Florida below and around Lake Okeechobee; the Everglades Agricultural Area; as well as many prominent subdivisions and commercial centers that we relish today. After people realized the environmental degradation that unfortunately went along with these projects, (some include: turbidity in the water column, destruction of seagrass and wildlife habitat, and sometimes the release of heavy metals and other pollutants harbored in the bottom sands and sediments,) getting permits to “do such” became much harder. Today the FDEP, Florida Department of Environmental Protection,(http://www.dep.state.fl.us/water/wetlands/erp/dffact.htm), and the EPA, Environmental Protection Agency, together with the Army Corp of Engineers, (http://water.epa.gov/lawsregs/guidance/cwa/dredgdis/) primarily oversee such projects; many are not granted or take so long people give up. 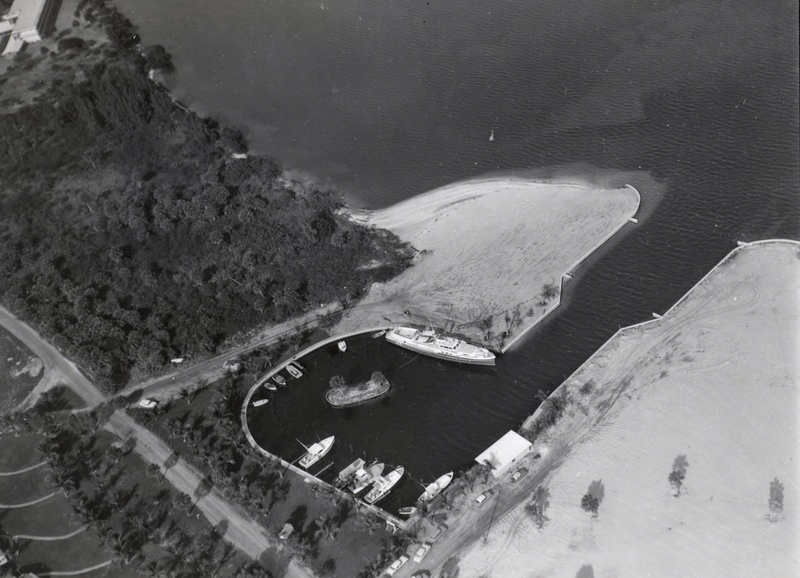 Another aerial of the completed marina in 1965. 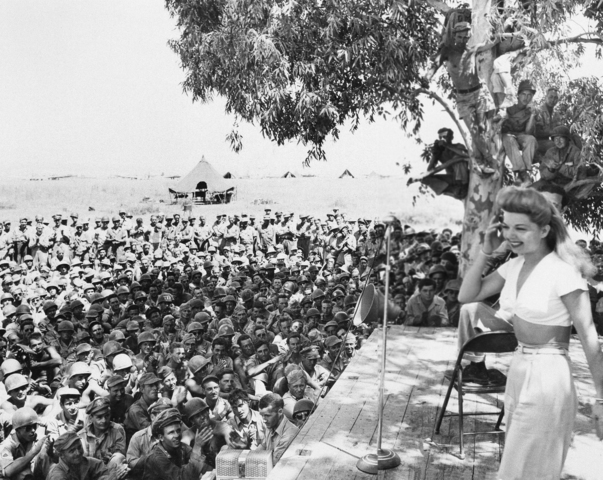 (Photo courtesy of Thurlow Archives.) Note healthy looking seagrasses right off shore. 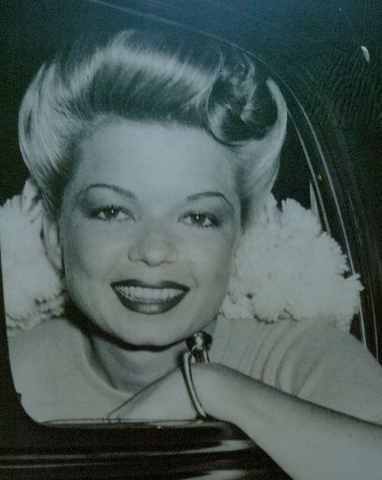 Mrs. Frances Langford (http://en.m.wikipedia.org/wiki/Frances_Langford), who built the well-known “Outrigger Resort and Marina, “in the 1950s, just north of Sewall’s Point, became an “environmentalist” in her later days, bestowing tremendous monies toward the Florida Oceanographic Society on Hutchinson Island, (http://www.floridaocean.org). And yes, she gave to just about every charity in town! 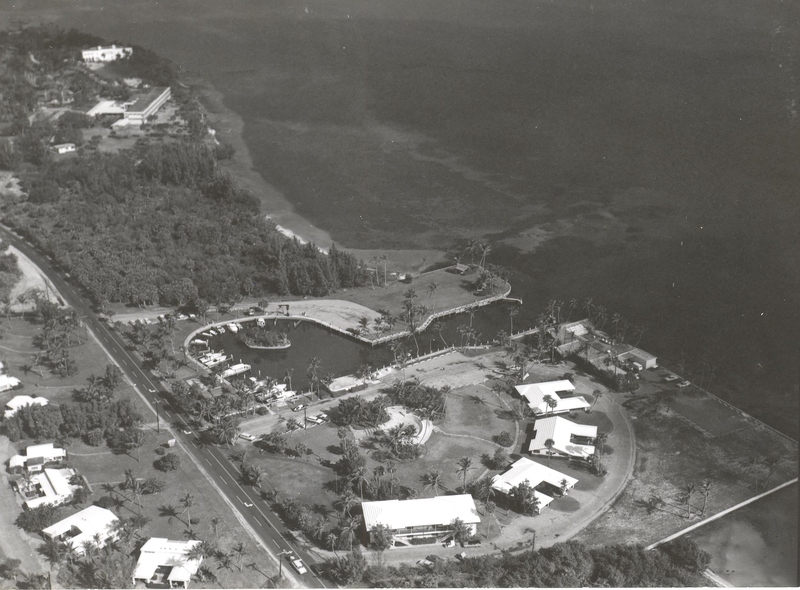 The point is, she loved helping “create” Florida Oceanographic in her later years, and in the 1940s and 50s people really did not realize the true extent of the destruction their dredge and fill projects were causing to the world that they loved. I believe this even holds true with some of the worst offenders of the agriculture and development industry who have, in essence, destroyed Florida and its waters. But times change, and people change. I believe there is a movement of change right now to “send water south” again…to fix our state, and yet to allow businesses that came into being, during earlier times of our history, to survive and adapt. 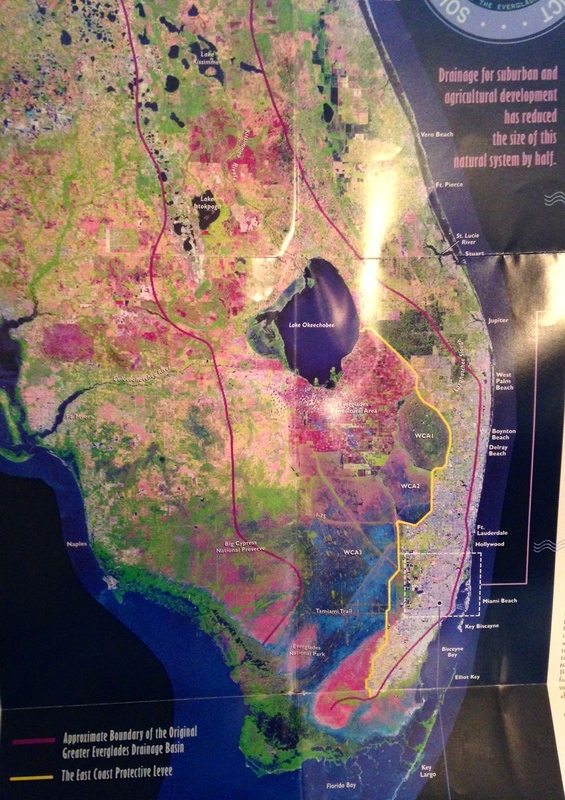 As I mentioned, to be able to change the St Lucie River/Indian River Lagoon, we first must learn to look around, to be aware, and to be able to recognize the history of our own area as we try to change the bigger state picture as well. Once you start looking, you will see that “dredge and fill” is all around us. I know, that although I do not live on the river, “I am;” I live in a coastal hammock in Sewall’s Point, a bird sanctuary. There is no turning back, but we can change how we create a new history in the future. So look around you. 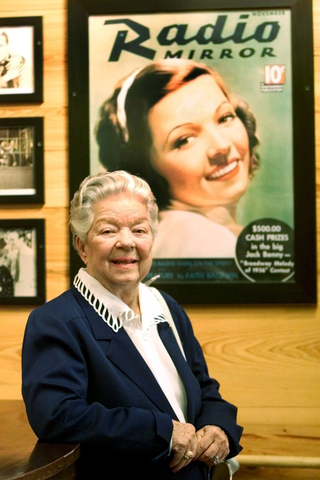 Learn your history, view the “full movie”…And may the great waters of Florida flow again with life, beauty, and all the generosity of the late Frances Langford. 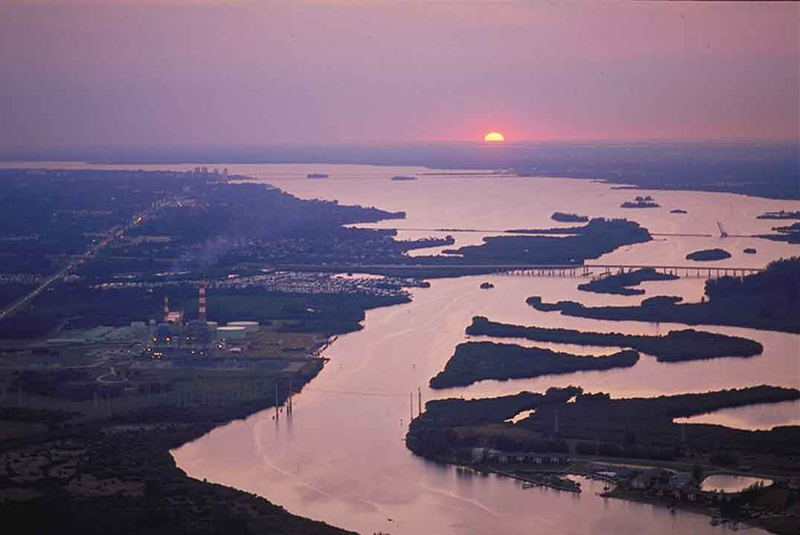 Caloosahatchee River, courtesy of the CRCA. 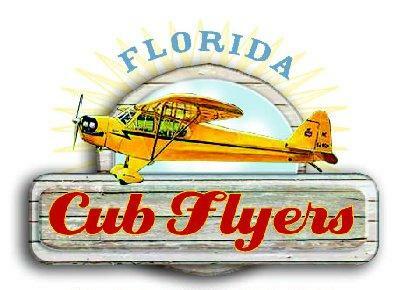 THIS ARTICLE WAS WRITTEN FOR MR LARRY ROBINSON AND HIS “CUB CLUB” THAT WILL BE FLYING INTO HISTORIC BUCKINGHAM FIELD AIRPORT CLOSE TO THE CALOOSAHATCHEE RIVER IN LEE COUNTY; I THOUGHT THIS MIGHT BE OF INTERESTS TO ALL. When flying into Buckingham Airport near Ft Meyers, one will surely get a view of the beautiful Caloosahatchee River that runs from Lake Okeechobee to the Gulf of Mexico. The river, named after the warlike Calusa Indians, has a great history and is unfortunately under great pressure due to man-made changes in its surrounding hydrology. The original lands of the watershed allowed for the waters of the Kissimmee Valley, near Orlando, to move south through the then winding Kissimmee River, into Lake Okeechobee, and then slowly make their way to the Florida Everglades. 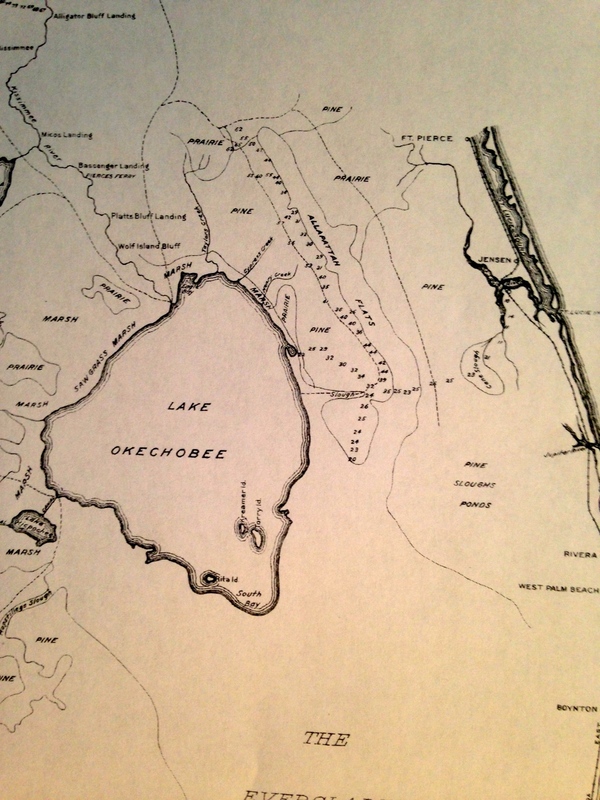 Before the late 1880s, the Caloosahatchee was not truly connected to Lake Okeechobee; its headwaters started at Lake Hicpochee, west of today’s Clewiston. Marshlands filled from Lake Hicpochee to Lake Okeechobee in times of heavy rain “connecting” the waterway but this was not lasting. In the late 1800s investor and land owner, Hamilton Disston, following an old Calusa Indian canal, connected the river permanently to Lake Okeechobee by digging a wide canal. This was done in order to drop the level of the lake and drain the surrounding lands for agricultural development. Disston was not completely successful but he did inspire others to complete his work in the early 1920s. 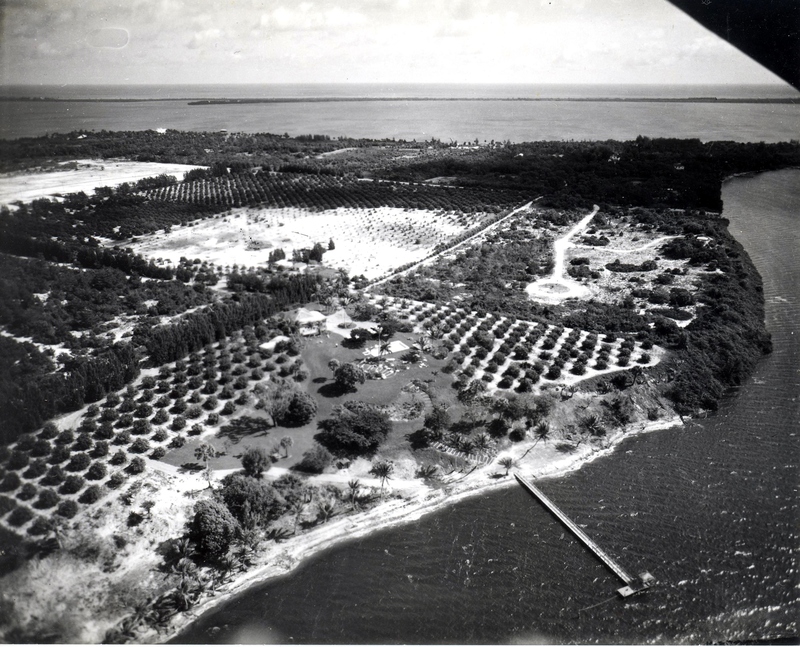 People had been farming in Florida south of the Lake Okeechobee since the late 1800s as the muck was very rich and produced wonderful crops. But flooding was a constant issue. 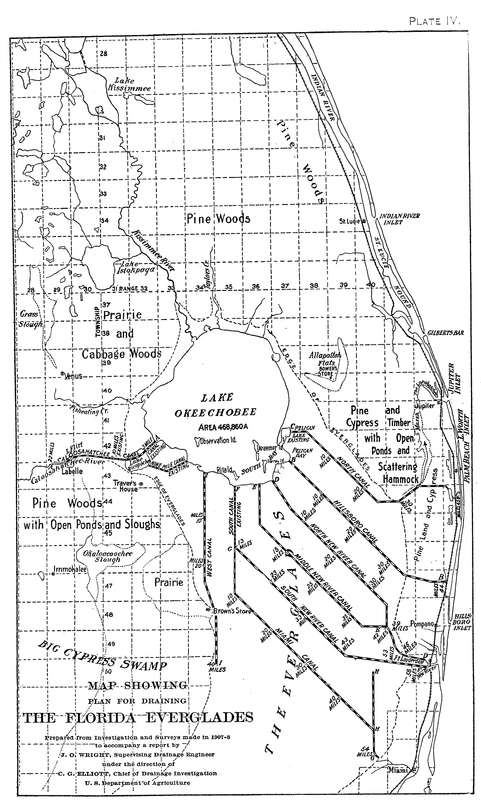 After the horrific hurricanes of 1926 and 1928 that completely flooded the area south of the lake and took thousands of lives, the state of Florida begged the federal government for flooding assistance which resulted in the Cross State Canal being built from Ft Meyers to Stuart and the building of the Herbert Hoover Dike around southern Lake Okeechobee. 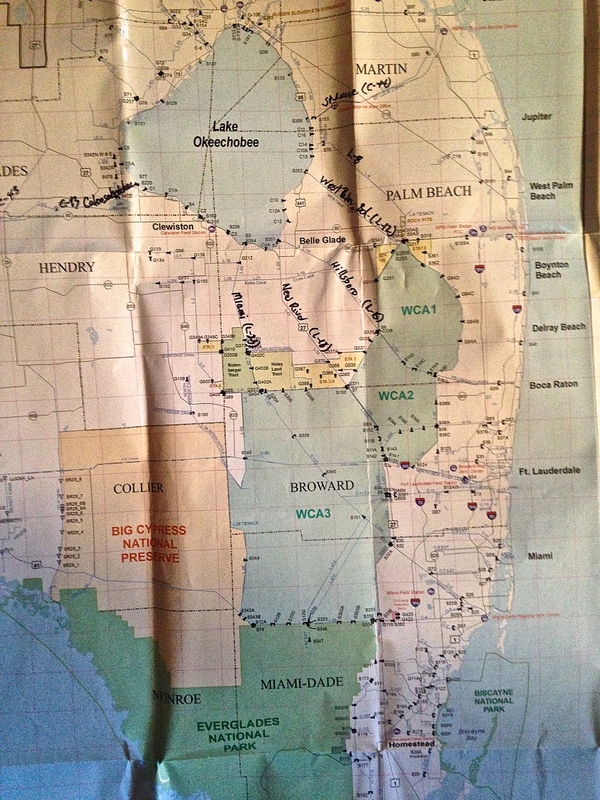 The canal allowed not only for east west navigation across the state, but also redirected the waters of Lake Okeechobee that traditionally flowed south to be sent east and west through nearby estuaries: the Caloosahatchee on the west and the St Lucie River/Southern Indian River Lagoon on the east. After another great storm and flood in 1948, and repeated outcry of the state and public, the Army Corps of Engineers “improved the system” through the Central and South Florida Project by widening and deepening already constructed canals and by building many more. 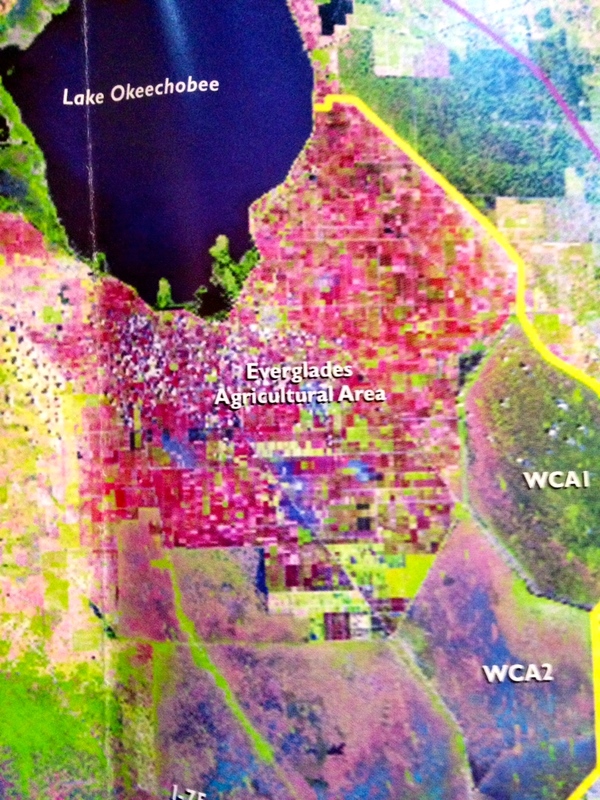 By the 1960 the Everglades Agricultural Area (EAA), south of the lake, became the number one sugar and vegetable producer of the state and one of the top in the nation; fortunes were made in the post-wartime era. 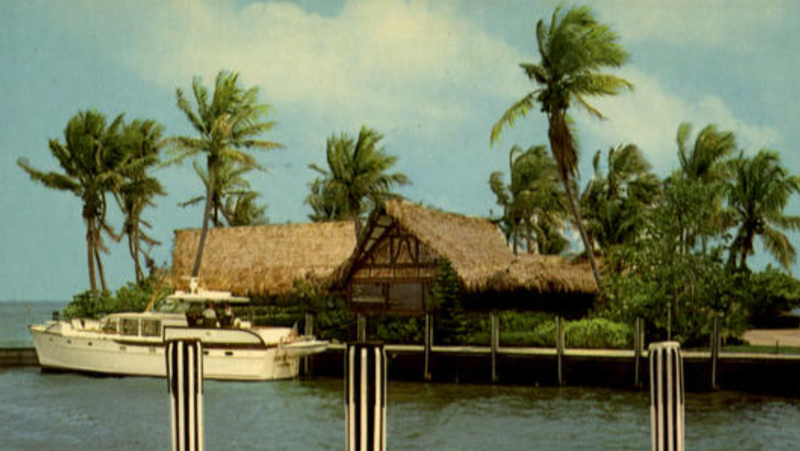 Simultaneous to the success of the EAA, development exploded along the two estuaries, the Caloosahatchee, and St Lucie/Southern Indian River Lagoon. 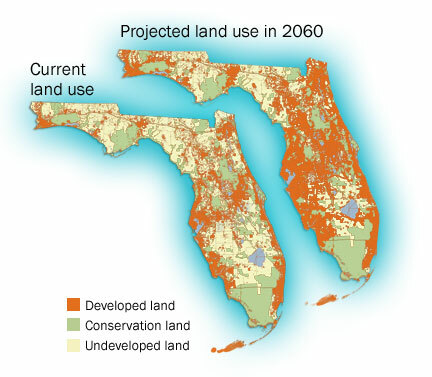 Both of these areas depended heavily on fishing, tourism, and real estate values for their economies so when Lake Okeechobee would overflow and billions of gallons of fresh water would pour into the estuaries disturbing the brackish balance, killing seagrasses, destroying fishing stock and wildlife, of course these cities along the coasts complained. 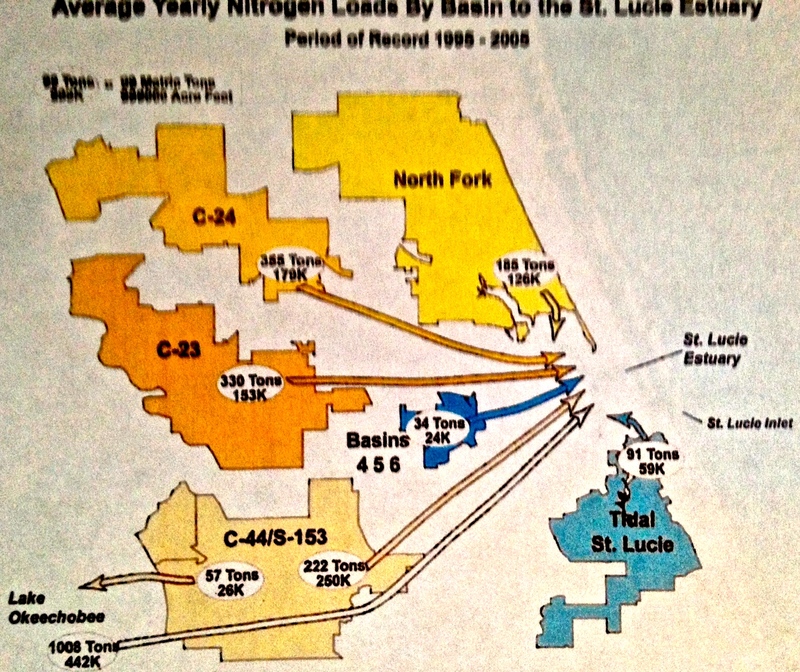 Over time, even more people have moved the Caloosahatchee and St Lucie areas, and the massive population of Orlando has complicated the situation as “Orlando’s” polluted water full of nitrogen and phosphorus from fertilized lawns and farmlands travels south filling Lake Okeechobee. Since the water cannot go south, it is redirected to the estuaries. As a result, the Caloosahatchee and St Lucie estuaries experience toxic algae blooms during heavy destructive discharges. This “health and safety” situation came to a head recently during the summer of 2013 when the Army Corps released from Lake Okeechobee for five months straight: May 8th- October 21st. This time became known as the “Lost Sumer” as health departments warned citizens and pets to stay out of the water for months on end. 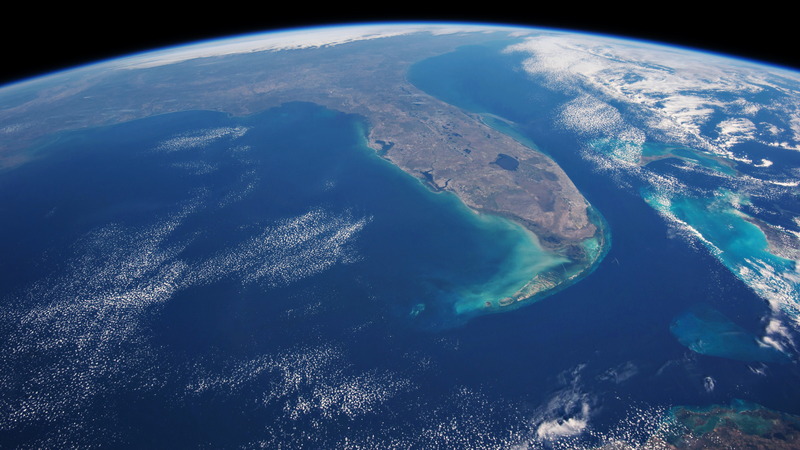 Due to public outcry, Florida Senator Joe Negron, chair of the Appropriations Committee, organized a “Senate Hearing on the Indian River Lagoon and Lake Okeechobee Basin” that included studies of both estuaries. 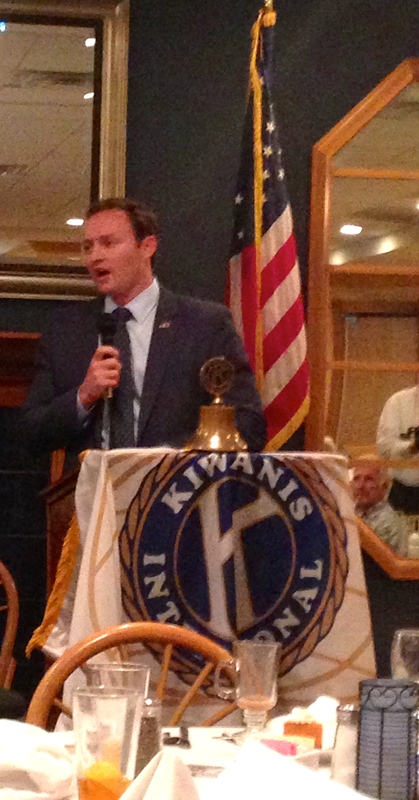 Congressman Patrick Murphy invited citizens to Washington DC. The east and west coasts and many politicians unified during this time, thousands rallied, and news of the toxic waters was told by local, state, national and global media. Under the 2013/14 state legislative sessions the state legislature and federal government designated monies for both estuaries to help abate these issues. Part of the Tamiami Trail was even “opened” to allow more water to flow south and plans are being made to lift and open more areas in the future. University of Florida water experts are studying the issue. Unfortunately, in spite of what can be done, this is just the tip of the iceberg as the amount of water that needs to be redirected away from the estuaries is enormous, truly beyond comprehension. 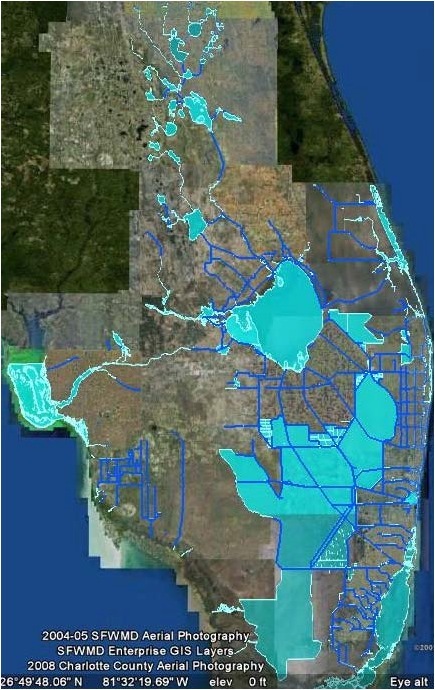 This is why many believe Everglades restoration plans are taking entirely too long and that we must find a way to fully restore the Kissimmee River and create a third outlet south of the lake. One of the nicest things lately is spending time with my father. He is a long time member of Kiwanis and has invited me to be a guest three times this year. Yesterday, he invited me because Congressman Murphy was speaking, and my dad knows I like politics, especially “river politics,” of which Congressman Murphy has been very supportive. In the relatively small group I had the opportunity to ask a direct question. One thing I am very aware of is that even though I study this water “stuff” all the time, I literally understand the only “tip of the iceberg.” This is confusing and I know if I don’t know, there are plenty of others who don’t know either. So today, I am going to try to explain what I think I know, and what Congressman Murphy explained yesterday about the Water Resources Development Act (WRDA) that we keep hearing so much about. First of all, the federal government is a black hole and just because they vote on something does not insure it will happen. As in “authorizing”–or agreeing to spend money on projects. Let’s keep this in the back of our minds…. The proposed WRDA bill that is being worked on right now, for 2014, (it was 2013), “promotes critical investment in the nations water infrastructure:”, (http://www.epw.senate.gov/public/index.cfm?FuseAction=Files.View&FileStore_id=1db8714f-ac01-4253-8c9f-367d09d6f573). The projects referred to in this bill are mostly structural and not environmental, as in improving ports and the moving agricultural product. Nonetheless, we can benefit from this bill. From what I understand CEPP, or the Central Everglades Planning Project, that the South Florida Water Management District just voted 5-0 last week to “recommend,” (a big deal), can now go to the Army Corp of Engineers to be included the Corps “final report,” to hopefully be included in WRDA 2014. 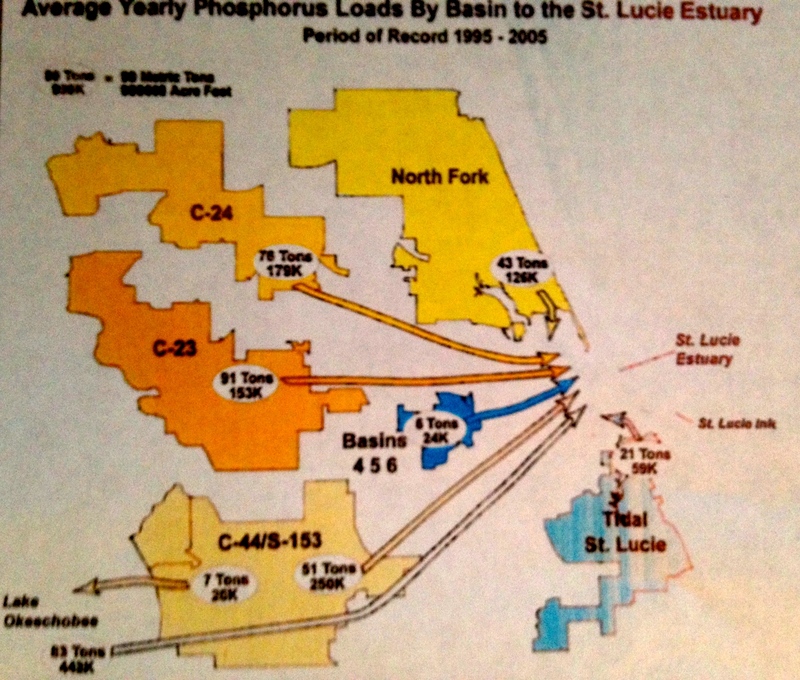 CEPP is the first part of “moving more water south” from Lake Okeechobee to the Everglades and is critical to the beginning betterment of the St Lucie River and Indian River Lagoon. Congressman Murphy explained that WRDA passed the US HOUSE with flying colors, (he serves in the House), and then later passed the US Senate, but that the language although similar was not the same, so the bills, together, had to go “to committee” and are still being hashed out–blending House and Senate language and goals for a final bill. OK….that makes sense but what is confusing to the public and to me is when they say “it passed.” I guess this is not too much different than in municipal government when an ordinance “passes first reading,” but it still has to go through “second reading” to “really” pass…. We here in Stuart, are also affected by the level of lake as when it gets over 15.5 feet the Army Corp’s LORS Lake Okeechobee Regulation Schedule is getting close or telling them to “dump” to the estuaries. So if one is watching the “writing is on the wall.” There is no need to be surprised when news comes of the dumping if we’re paying attention…. 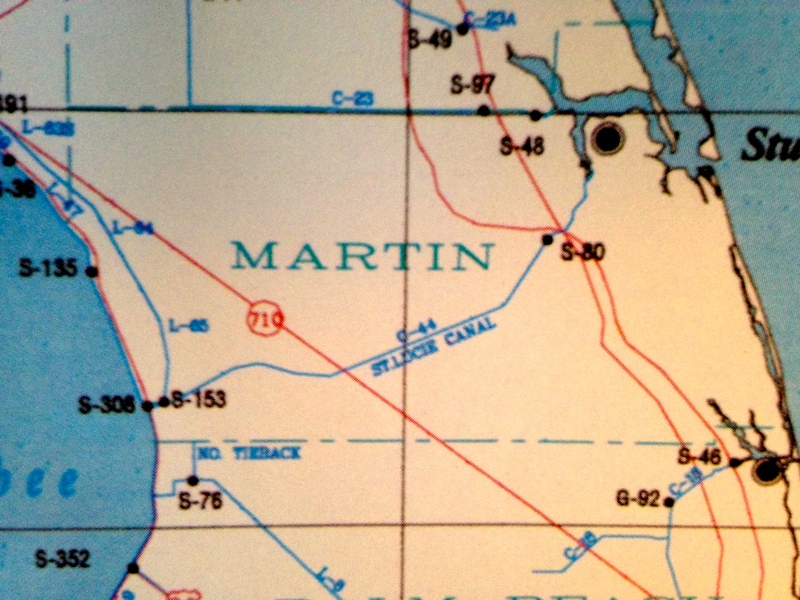 In a perfect world, residents of Martin County would check and know the level of Lake Okeechobee. Last year I asked my husband if he would consider putting a flashing sign of the lake level on his office building on East Ocean. He smirked, laughed out loud but didn’t say “no,” so I am still waiting. Today the lake is at 13.3, below 15.5. Although this level seems “good” for Martin County, it is actually only a few tenths away from where it was last year at this time. If a huge tropical storm or rain event came it could easily increase the level of the lake by three to four feet. This has happened many times. So why isn’t the lake lower? Why don’t “they” let it drain to the Everglades now? Well obviously there are other interests than just “ours.” Agriculture in the EAA likes to insure that there is enough water in the lake, because they know that just as quickly as a storm could fill the lake, drought could ensure, and not only would the agriculture community be lacking needed water for crops but some of the utilities on the southeast coast may go short on drinking water. For the wildlife agencies, they are cognizant of the need of water, but not too much, for wildlife to survive, especially birds and fish. So let’s be aware of the “bigger picture” and know how we fit into that picture, and in the meanwhile, get into the habit of regularly checking the lake level. Also take time to write your legislators and insist that more water flow south and be stored, and that Kissimmee River be fully restored to hold more water in its flood plain. If they say, “there’s no place to store or clean the water, and there’s no money,” tell them nicely to “figure it out…”and remind them of the great things this county has done in its past. And last, if you see my husband around town, would you please ask him if he is ever going to put up the electronic sign outside at his office? I’d appreciate it!